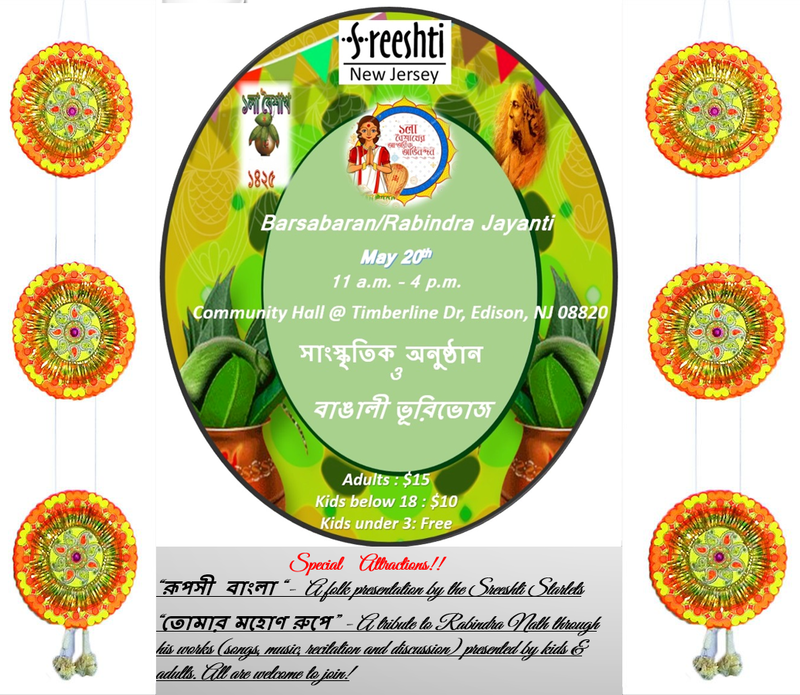 This year we are going to celebrate Bengali Barsabaran & Rabindra Jayanti on May 20 at the Community Hall in Timberline, Edison. Light lunch & beverages will be served. The plan is to kick off with our Annual General Meeting followed by a cultural program. This year, the event coordinator is Sophia Mitra (sophiamit@yahoo.com). There will be a literary seminar on Rabindra Nath’s works (songs, poems, plays or prose). All are invited to participate and can contact Sophia for details if interested. Also, for those interested in the kids performance – solo or group, should contact Sophia by the end of March.